When I started the development of this project, the mission seemed clear, expand the ability of the physicians to care for the people in need. Then the issue of profit vs the mission to care for the sick came into focus, and the task was deemed "impossible." Unfortunately, I didn't know what that word meant.... Sometimes you just have to move ahead and do what's right -- H-II - Stephen Michael Apatow, United Nations Arts Initiative. -- While G20 leaders have been focused on finding concrete solutions to economic challenges, almost 14,000 children in their own countries will have died, mostly from preventable causes. -- These countries are now the 21st century�s economic powerhouses, with 87 per cent of the world�s GDP, yet many are still failing to address dire living conditions and lack of access to health services in their communities. Today, despite the formation of GIEESC in 2005, 5 Billion people across the globe lack access to basic surgical services and advanced medical technologies. Even after half a century of independence, �not more than 20 percent of the population has any access to�.. basic surgical services like life saving caesarian section, or a life saving repair of typhoid perforation�� (National Human Development Report 2001). This situation can be improved only if there is adequate number of rural surgeons in India whose surgery is affordable and available near the homes of the patients. -- Realising the vital role of rural surgeons in the nation�s health care, Dr. Gazeiry, MD., FRCS., the past Regional Director of W.H.O. East Mediterranean Region remarked that rural surgery be made into a specialty. 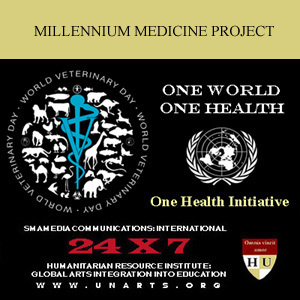 The focus of the HRI:UNArts - Millennium Medicine Project is G-192 unmet needs analysis that includes (1) review of countries and emergencies , (2) demographic and public health infrastructure, and operational needs on the rural healthcare level. This information will serve as our basis for strategic planning, NGO integrational support, education initiatives and international appeals.